Most of us have been taught from a very early age how important nutrition is and told how taking vitamins are the best way to supplement the vitamins and minerals you aren’t getting enough of through diet alone. Unfortunately, that’s about as far as our education went on the subject of supplements and what we may or may not be getting enough of. Now that we are adults and responsible for our own well-being, we only want to do what is best for our body. It’s time to look at what supplements are best for us and what could be doing more harm than good when it comes to our vitamin choices. It has become common knowledge that the best foods for a person to consume are the ones in their most natural state. Processed foods, that have been “put through the ringer”, are nowhere near what they started out as. The same goes for synthetic vitamins. Synthetic vitamins are man-made and bonded together with things that are actually not good for you. You may think that you are taking a simple calcium supplement. However, most vitamin companies, in a cost cutting measure, mix this synthetic calcium with minerals that are foreign to the human body and your body will expel as much of it as possible. Processed food companies do the same which is why most of the nutritional value from food is stripped once it has been processed. With that being the circumstance, it is questionable how much of the calcium is even entering your system and how much money you are, literally and figuratively, flushing down the toilet using synthetic. Looking at Whole Food Supplements. Another key factor to consider when weighing the option between whole-food versus synthetic vitamins is how well they work when only taken in parts. Most synthetic supplements cut out all of the non-leading roles. Whereas whole-food supplements contain the entire cast. This may be a little confusing so let me break it down better. When you eat a tomato, straight from the vine, you are getting EVERY NUTRIENT that tomato has to offer. Because that tomato is in its natural state it has everything in it your body needs to properly break down and absorb every vitamin and mineral that tomato has in it. Three of the main nutrients in a tomato are vitamin C, biotin, and vitamin K and you can go out to almost any drugstore or grocery store and find all of these in pill form. The things you are missing out on by relying on supplements are the 15+ other vitamins and minerals that are in the tomato that you won’t find in synthetic vitamins. 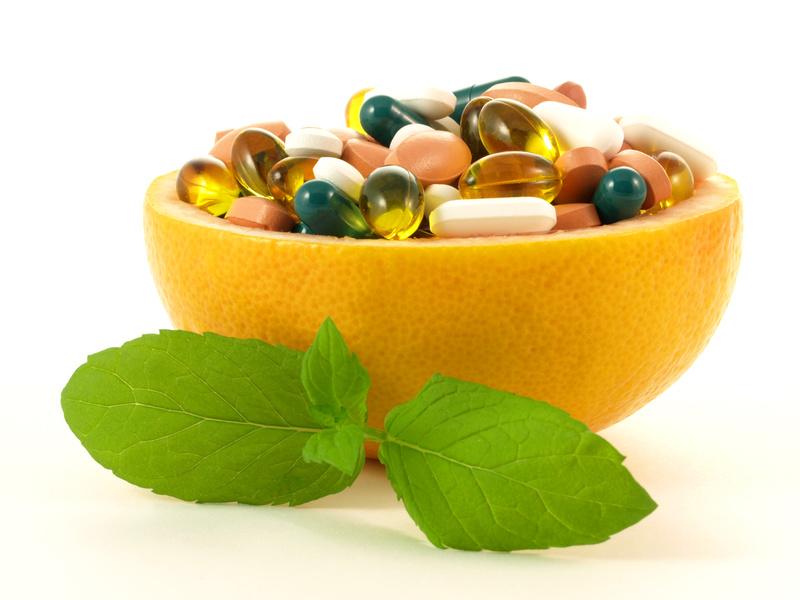 Whole-food vitamins take and include those extra vitamins and minerals that your body needs. This ensures that your body is getting the proper amount of each vitamin, as well as making sure everything is there so your body can absorb as much of everything as it needs as possible. One last thing I want to point out is to really look at it’s daily value (DV) percentages. This is especially true of a multivitamin. When most people look at a label and see that there are 20+ vitamins and minerals on the label that have 100% DV they think “SCORE!”. Unfortunately, you need to put your pom-poms away and think about this. If you are getting 100% of all of these vitamins and minerals in these two capsules what happens to the ones that come from eating and why am I putting so much of these into my body at one time? Because our bodies can only process so much at once, and because synthetic vitamins are laced with indigestible minerals, what am I putting my body through? Studies have shown that some synthetic vitamins, taken over long periods of time, have actually caused strokes, heart attacks, and other health problems because of what they are compounded with as a synthetic. Be aware of what you put into your body and take into consideration all the facts when it comes to your health and choices, also when it comes to your nutrition. The main thing to remember is that vitamins and minerals can’t do all the work. A healthy diet, exercise, and lifestyle all go hand in hand when it comes to good health. If you are looking for a great line of supplements to try, I would recommend our Innate Response Formula line, which is the the professional line of Mega Food. Innate Response grows large batches of nutritional yeast which is a favorite among vegans and vegetarians. The yeast is feed nutrients such as Selenium, zinc etc. The result is a plant-based tablet that delivers bioavailable nutrients to your body the way nature intended it! There is a wide variety of vitamins and minerals available to help build digestive health, energy, and immunity in a natural way.